The buy less, buy better philosophy started out with fashion purchases when fast fashion became an emerging trend. This sparked from the ongoing debate about quantity versus quality. The same purchasing philosophy can be extrapolated into your everyday life in the many things that you buy. Hence, when it comes to your home, it is always best to select items that are high quality and durable instead of cheaper options that may not last. Below are some of the things that you should consider buying less, but buying better for your kitchen. The countertop is the focal point of the kitchen because it provides the workspace for food preparation. In smaller homes, it also serves as a multipurpose surface for dining and working. Hence, it is important to ensure your countertop can withstand the various usages as it will be subjected to all sorts of “abuse”. 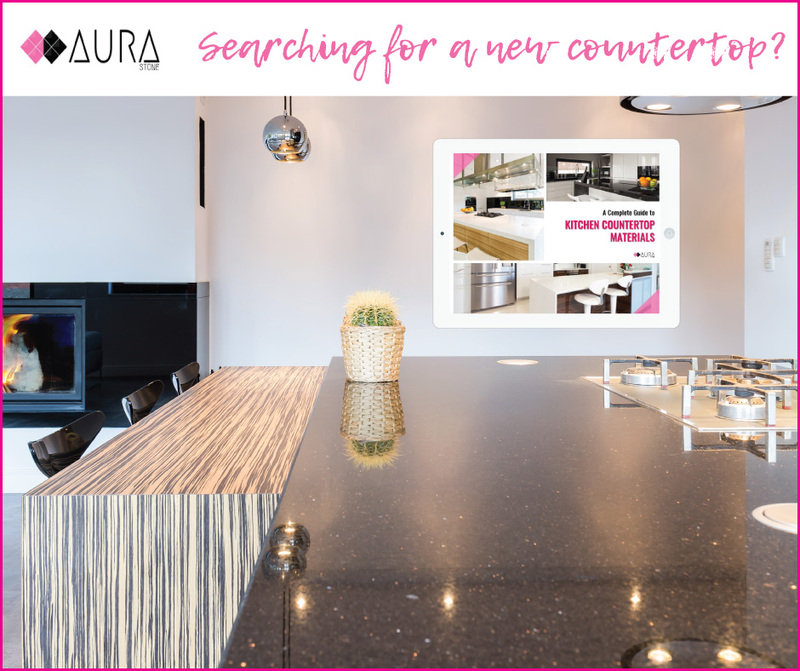 There are many countertop materials in the market, but if you are looking for something more premium and long lasting, quartz outshines many of its competitors. Quartz countertops are easy to clean, durable and heat resistant. Because it is non-porous, you need not worry about water and dirt getting into the surface and ruining it. This makes the quartz countertop low in maintenance unlike its cheaper alternatives such as laminate and wood. Conventional kitchen sinks cannot guarantee waterproofing. Silicone erosion is common resulting in under sink leakage. If you do not have a habit to store common use items in the cabinet below your sink, most of the time you will never find the leak until you catch a whiff of rotting damp wood. This is usually accompanied by mould growth. If the damage is bad, you are left with no choice but to replace the entire cabinet. On average, homeowners spend S$2,750 for kitchen cabinet replacements due to sink leakages. Invest in a leakproof sink like Aura Sink. Its customised clamping installation method provides many homeowners with assurance against future leakages. In the long run, you would have saved yourself the headache of one extra plumbing issue and potential damage of your cabinets. If you scour the marketplace for cooking utensils, you are spoilt for choice by the different designs and price range. Plastic utensils tend to be cheaper and can be found a dime a dozen. Unless you are serving cold salads everyday, it is always wiser to purchase heat resistant utensils. Have you seen plastic change colour and shape when it’s near a heat source? You wouldn’t want to risk contaminating your food with plastic from its chemical reaction to heat. Opting for energy saving kitchen appliances is one of the ways to conserve energy and protect the environment. When you make a purchase of an expensive kitchen appliance, consider paying extra to extend its warranty. Trust us, you will not regret it. Why? Most things are not built to last, and even electrical appliances have an expiry date. This is what keeps the manufacturers in business! Sure, you may think that you’d rather just buy a cheaper option and discard it once it is past its usage. But imagine the waste that you are creating! For every item that is discarded and not recycled, it goes into the landfill, and most of the time, it stays there for a very, very long time. Canned and processed food may be the cheaper and more convenient answer to your busy lifestyle. But in actual fact, you could be doing your health more harm than good through prolonged consumption of processed food. When food is being processed, they lose their nutritional content through freezing, heating, dehydrating and even using additives. On the other hand, fresh food retains their flavour, colour and nutritional value if cooked and prepared correctly. When it comes to your family’s wellbeing, nourishing them with fresh food at every meal is a sure way to build a healthy and happy family! It may seem like a costlier investment when you purchase premium and quality items. But in the long run, you actually save more money with lesser cost of repairs and maintenance. Don’t be penny wise, pound foolish. There is only one true winner when it comes to the debate of quality versus quantity. Quality trumps quantity anytime.